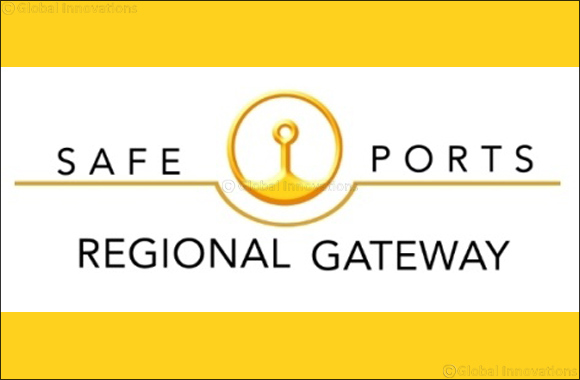 Dubai, UAE, July 02, 2018: Safe Ports Holdings, U.S-based developer of Safe Ports Regional Gateway, a 1,000-acre site in Jordan that will serve as a thriving hub for global businesses looking to seize on Middle East growth opportunities, and National Petroleum Services Company (NAPESCO), a diversified publicly traded Kuwait-based company, today announced an agreement to develop and construct a warehouse complex at the site near the town of Al Mafraq, Jordan. The announcement was made by Lucy Duncan, CEO, Safe Ports Holdings at the 2018 Jordan – US Investment Forum in New York City. Ms. Duncan and Khaled Al-Saif, Chairman and CEO, NAPESCO co-signed the Memorandum of Understanding. A trans-shipment, distribution, warehousing and business hub facility, Safe Ports Regional Gateway is a master-planned site in the Al Mafraq Special Economic Zone co-located with Jordan’s King Hussein Air Base, with access to a 9800-foot runway, air traffic control tower and host of airfield services. Mafraq Development Corporation (MDC) of Jordan and the Jordanian Air Force (JAF) are partners in the creation of the Safe Ports Regional Gateway, a secure and economical inland port to begin operations in 2018 and grow in phases. Utilizing its unique crossroads location – with airfield, highway and free-trade access – Safe Ports Regional Gateway will enable businesses and NGOs of all types who choose to locate there to maximize their participation in the anticipated increase of trade in the region, and to fulfill humanitarian missions. The site of Safe Ports Regional Gateway is approximately 75km north of Amman, Jordan, and 3km from the Syrian border crossing, with direct road access to the Port of Haifa (Israel) and the Port of Aqaba (Jordan). Safe Ports Regional Gateway benefits from extensive modern infrastructure developed for road networks, electricity, water supply and wastewater, as well as fiber-optic connectivity.